It’s hard to believe that in just a few short weeks baby brother will be here! Our days as a family of 4 (including Dash, of course) are limited so we are trying to soak in every day and every summer night before summer is over! We have a trail near our home where we like to take our morning and evening walks. 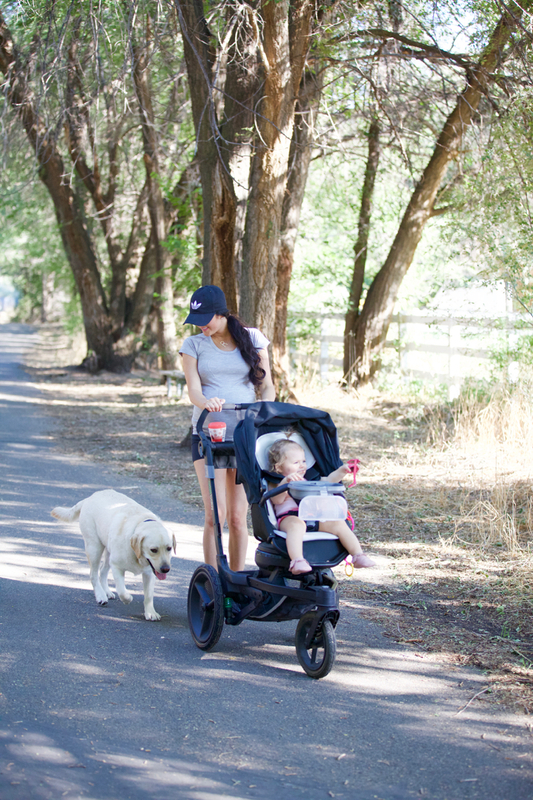 I always get SO many questions about my strollers and here I’m using my Orbit Baby Jogging Stroller that we can’t get enough of! 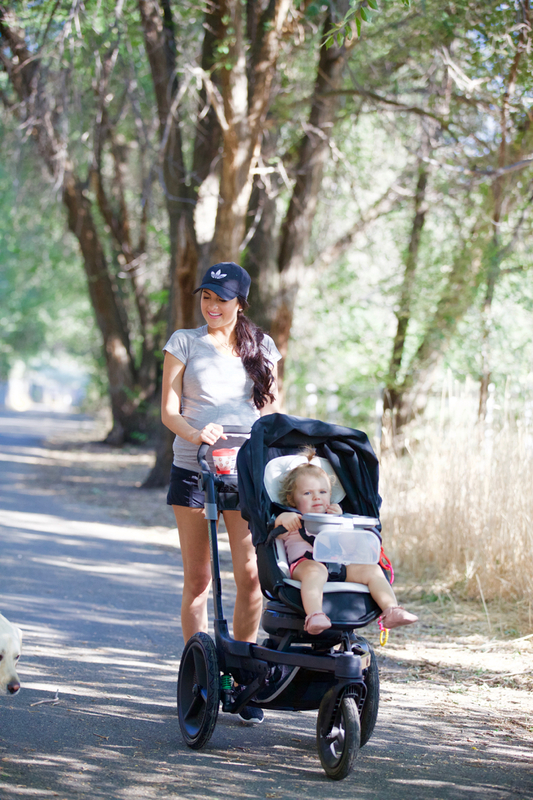 I mentioned in my last post that Drew takes Isla for a run in this stroller almost every night while he trains for his half marathons that he runs with his family. She absolutely LOVES it and almost always come back sound asleep, which I love! ;) I also use it for my morning workout walks. Our favorite feature continues to be the option of having the seat be forward facing or backward facing. When Isla was little she used to always need to see who was pushing her and to make sure that I was nearby, but now that she’s a little older and is super curious about everything she prefers to face out so she can see everything! Brought to you by Orbit Baby. this is beautiful, you look so cute! I love your cool hat! You have such a cute family, and I am sure your little boy will be just as cute. I still have a few months to go but I am also excited to meet our little baby and become a family of three. Cute outfit. Great for these hot summer days. Love these photos! 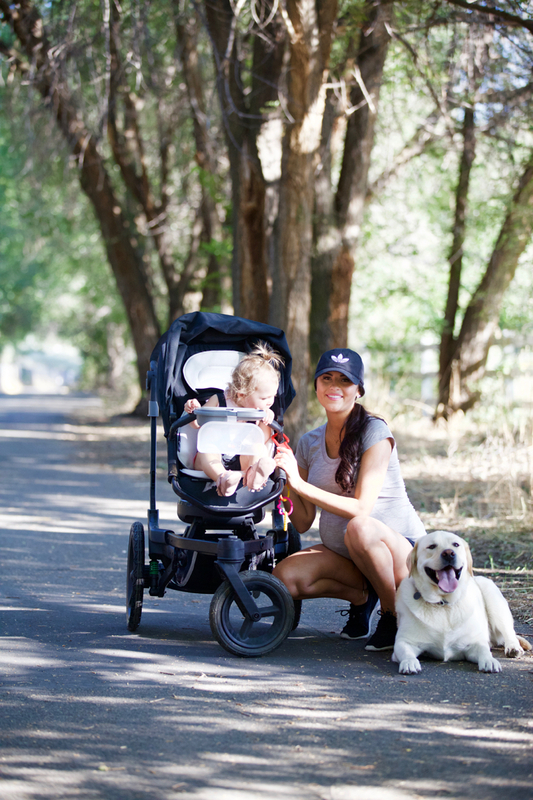 It’s so important to stay active while you’re pregnant & it’s such an exciting time for you! Thank you for sharing! Beautiful pictures?? I LOVE how you always count Dash in as one of your kids. You are the only other person that i know besides myself who counts your dogs as kids. Love these snaps! Isla and Dash seem to be enjoying the stroll. Glad you are taking advantage of these last few weeks of summer! You look absolutely stunning! Would you ever do a post about your pregnancy workout or diet? Just gorgeous! Once I have a child I’ll definitely be getting an orbit, everyone says they’re the best! Are you taking prenatals Rach? Your hair is getting SO long! When I have babies I’m totally get one of these strollers! I love Isla’s little sunglasses too! 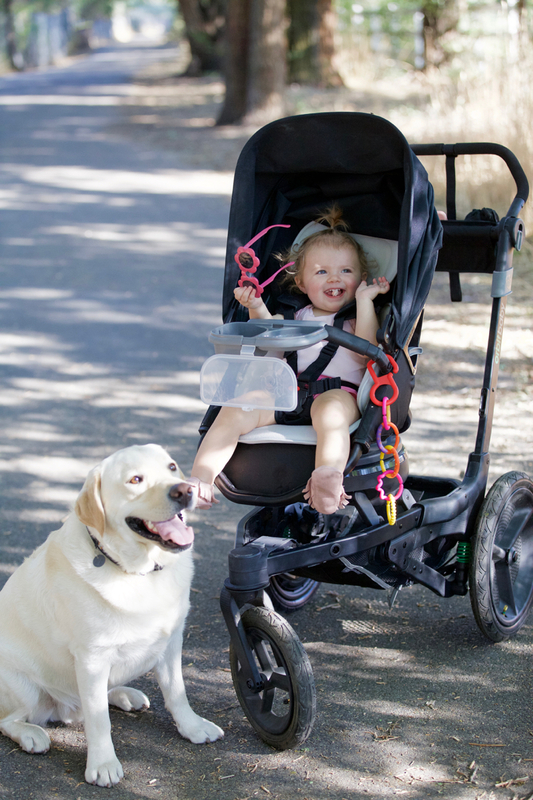 Hello, lovely pictures and love the stroller! Will you be putting something about what’s in your hospital bag? I’m going to be a first time mom and would love to see comfortable and nice things to take to the hospital for after I deliver. Wishing you lots of blessings with the coming of your baby boy! Her little sunglasses are so cute! I wish it was Fall here! The weather looks gorgeous in these photos! Looks like a fun day out with the fam! Such a lovely family! Enjoy these days before baby boy arrives! What a cute baby! :D Love her shoes! This grey shirt looks so comfortable and cute! Isla’s sunglasses are so cute!! 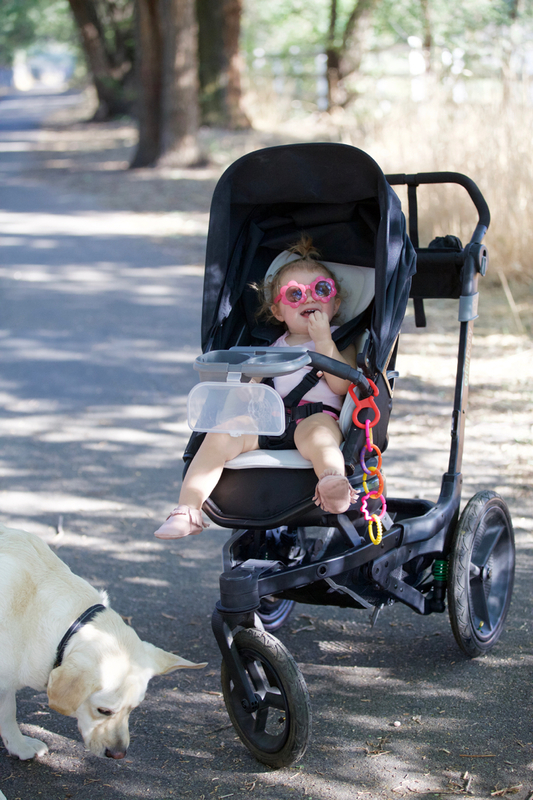 That stroller is so great!! I’ll forward this to my sister in law who is looking for one!! Awesome!! Seems to be really practical! Oh this is so cute! Dasher and Isla are the cutest! Hey, first, I love your pictures so much! U have such asweet baby girl ? Where u got this food tray for the stroller? It’s just so cool. Those shoes are everything and I love how you paired it with that jean jacket! So fun! Dash and Isla are too cute! !